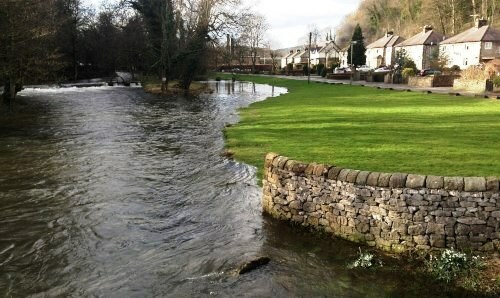 Partners across the city-region of Greater Manchester, England have signed a multi-million pound European contract for a project which looks to develop innovative ways of financing the restoration of green infrastructure and other natural solutions to boost local resilience to increasingly extreme climate change-related hazards. IGNITION will run for up to the next three years backed by £4 million from the EU’s Urban Innovation Actions initiative, in a significant announcement made a week after the Mayor of Greater Manchester’s second annual Green Summit. Mayor of Greater Manchester, Andy Burnham, said: “We are serious about our green ambitions in Greater Manchester – to become carbon neutral by 2038 and one of the world’s leading green city-regions. However, we also need to prepare for the climate change impacts which are now unavoidable and we must do it soon; we can’t keep doing things the old way. “This helps both Environment Agency to accelerate the 25 Year Environment Plan through the Urban Pioneer and GMCA to deliver their Natural Capital Investment Plan. But, more importantly – by generating a return while greening Manchester – the project could provide a model for investors around the world that would help ‘green finance’ for urban infrastructure to go mainstream,” she added. Extreme weather is becoming an increasing part of urban life, whether it is rivers bursting their banks, rain creating standing water after only a relatively modest downpour or heat waves. The effects on the Greater Manchester area is no different. In December 2015, Greater Manchester experienced significant flooding, damaging homes, businesses and infrastructure. Heat stress incidents are also on the rise as a result of increasing temperatures and storms are becoming more common, as is flooding from intense rainfall. In addressing these challenges and impacts of a more extreme climate, Greater Manchester feels that the solutions lie in substantial retrofit programmes of urban green infrastructure or nature based solutions to combat urban over-heating (provision of shade and evaporative cooling) as well as slowing the flow of excess water caused by extreme weather events. These nature based solutions will also help to improve air quality, the visibility of the region, increase the level of biodiversity within an urban environment and help to improve the health and well-being of citizens. The IGNITION project and the solutions it develops have a far wider relevance than Greater Manchester and potential start to draw the greenprint for cities everywhere to fund and deliver the natural environment resilience solutions we all need. Learn more about IGNITION here.